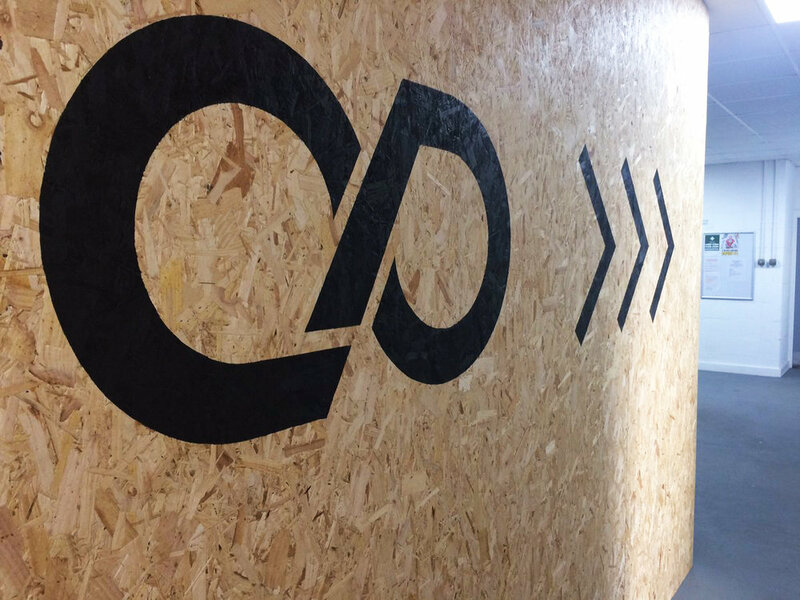 On the 26th January we held our first workshop on Designing for Modular Offsite Manufacture. The event was a great opportunity for us to share our knowledge and skills with professionals within the industry. We feel this first workshop was a huge success and and plan to hold more events in the future. Please let us know if there are topics you would like to discuss at future events and we can begin to guage interest. 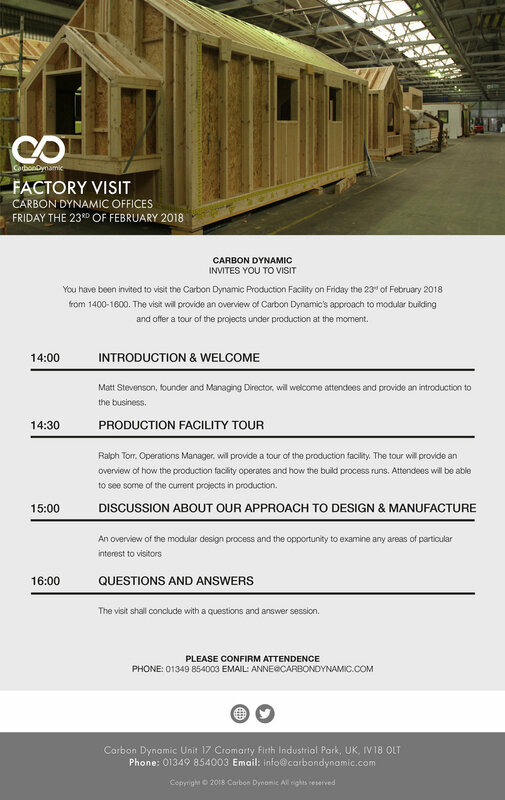 We will be holding open days on the last Friday of every month from now on, if you are interested in visiting our manufacturing facility and learning more about Carbon Dynamic please contact us for more information. This will include a tour and discussion about the current projects under construction. On Friday the 26th of January 2018 from 14:00 to 16:00 we will be running a workshop on Designing for Modular Offsite Manufacture at our offices and manufacturing factory in Invergordon. 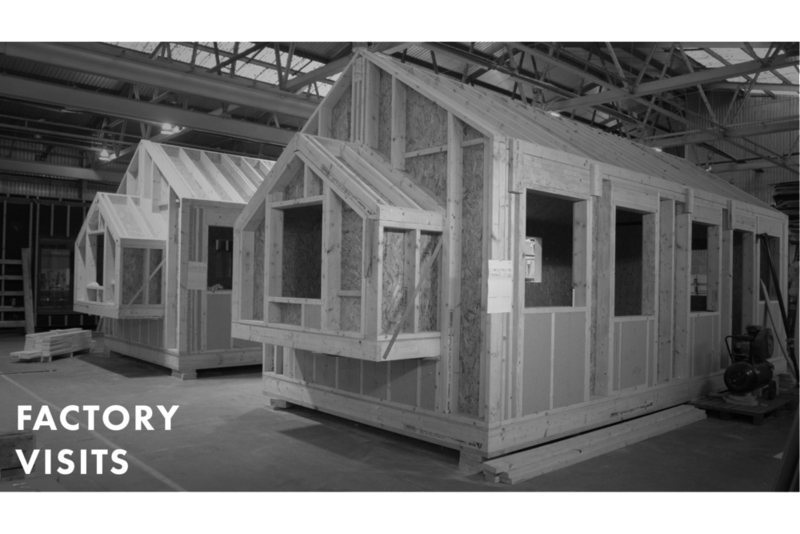 This workshop is for architectural designers to explore the added complexity of designing for modular construction, you will visit the factory to view our manufacturing process and discuss the differences between designing for modular and conventional building processes. If you are interested in attending please email anne@carbondynamic.com to confirm. With ever increasing interest in the work of Carbon Dynamic, we are inundated with requests to view out manufacturing facility. To satisfy this interest we plan to hold open afternoons on the last Friday of the month, beginning on Friday 23rd February. This will include a tour of the factory with explanation of the current projects under construction. To register your interest in attending one of these, please email anne@carbondynamic.com. Are you interested in helping deliver some of the highest profile modular building projects in the UK? Passionate about delivering buildings which have a positive environmental and social benefit? We are growing our management and production teams and are looking for talented people to join our team. Follow the link below to our jobs page to view and apply for our latest positions . 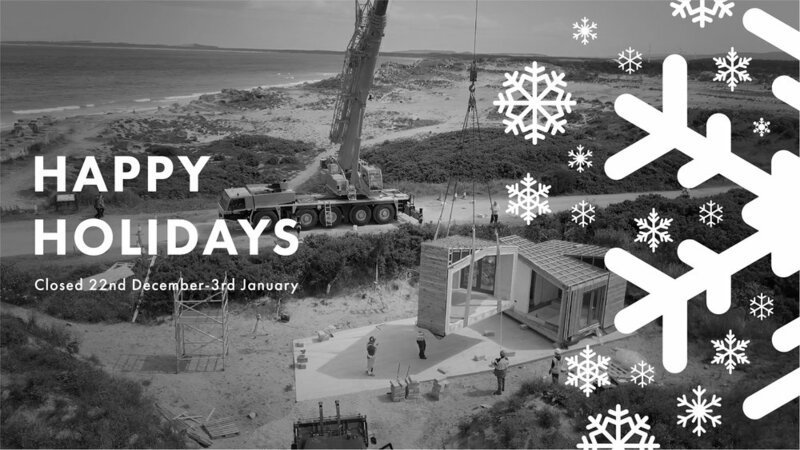 From the 22 of December we will be shutting down for the Christmas Holidays until the 3rd of January. We want to take the time to thank all our staff, suppliers and customers for an incredible year and we can't wait to see what the new year holds for us. Merry Christmas and a Happy New Year.